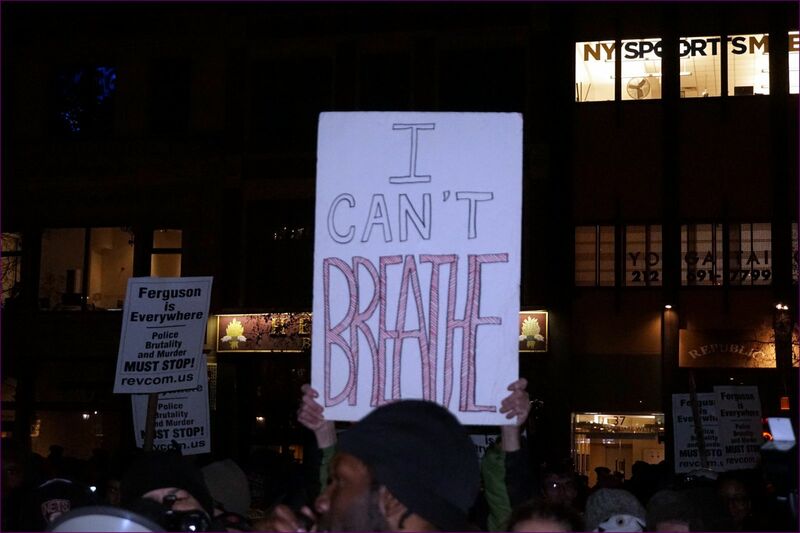 Last week a New York grand jury refused to indict a police officer who choked and killed Eric Garner, an African American who, as he was being choked to death, was videoed rasping, „I can’t breathe! I can’t breathe!“ 11 times. The video, which has gone viral, shows Garner being controlled by a police officer in Staten Island, New York. Garner was apparently under suspicion of selling ‚loosies‘ – single cigarettes which are sold without the proper tax stamps. While the act is disturbing, and so is the ongoing trend of institutional racism among the US police force, so is the going counternarrative – the one which says the protesters are overreacting, that racism doesn’t exist because there is a black President. In the New York Times, Charles M. Blow wrote a fantastic commentary on the rise of the counternarrative and its destructive power. He notes that when those calling for change include the US President and the Attorney General, and even when they don’t, calls for societal change must be heeded. The key issue here isn’t about the Eric Garners or the Michael Browns. It’s about the value of all lives – including black ones. Racial inequality must be solved before the US can keep moving forward. What to do after Ferguson's Grand Jury Decision?